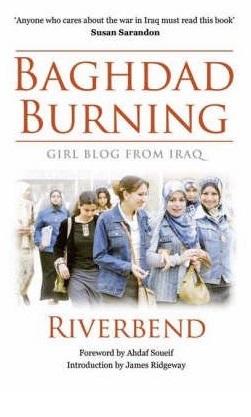 I’ve just finished reading Baghdad Burning, by Riverbend; the blog of an Iraqi woman published in book form. The book I read was only the first volume. 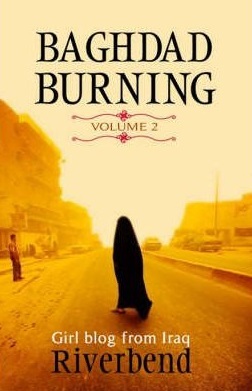 A second volume of Riverbend’s writings is also available. Clearly Islam isn’t the only religion to be afflicted with a “ratbag” loony element. That’s something National Party leader Barnaby Joyce pointed out recently. “Every group has their ratbags, even Catholics. “We had, in the past, the IRA, but if someone said every Catholic is a member of the IRA I would say ‘no we’re not’. They’re lunatics, crazy criminals who want to kill people who have nothing to do with the religion I practise. Islam and Christianity are at loggerheads. When you go right back to the crusades… and I will not say that the crusades were a completely bad thing because they were taking back land that was taken from them by the Muslims. Just like now I reckon we’re about to see, a crusade starting across,,, the western countries are going to start to rise up. I mean the true western countries because I think America’s too far gone now. …because they refused to love the truth and so be saved… God sends them a strong delusion, so that they may believe what is false,in order that all may be condemned who did not believe the truth.